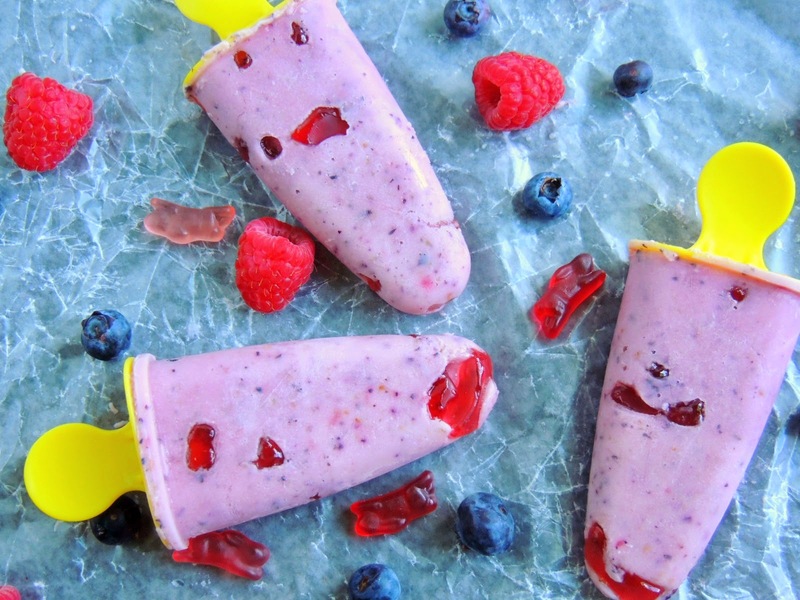 Need a last minute sweet treat for a Fourth of July barbecue or get-together this weekend? 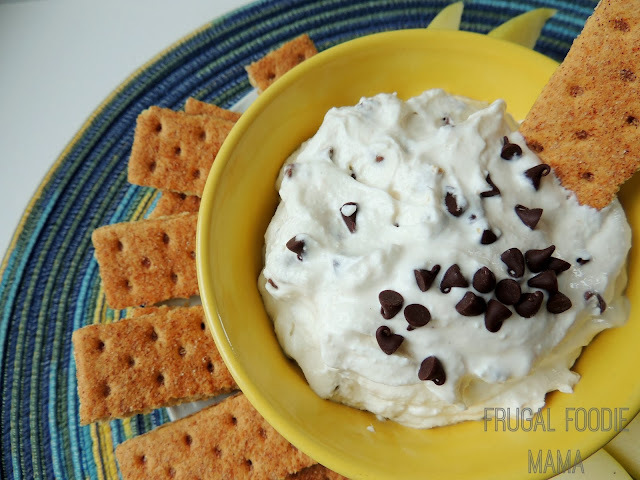 Because I have a super easy & quick dessert dip for you that you can literally whip in under 15 minutes. Yes, folks. Fifteen minutes. But probably less. Blend each of the layers in separate bowls until smooth & creamy. I used my immersion blender for this. You could also use a food processor or even a hand mixer. **If you prefer no raspberry seeds or blueberry skins in your dips (I like to leave them for the added fiber & texture), strain the purees through a metal mesh strainer before blending with the yogurt & whipped topping. 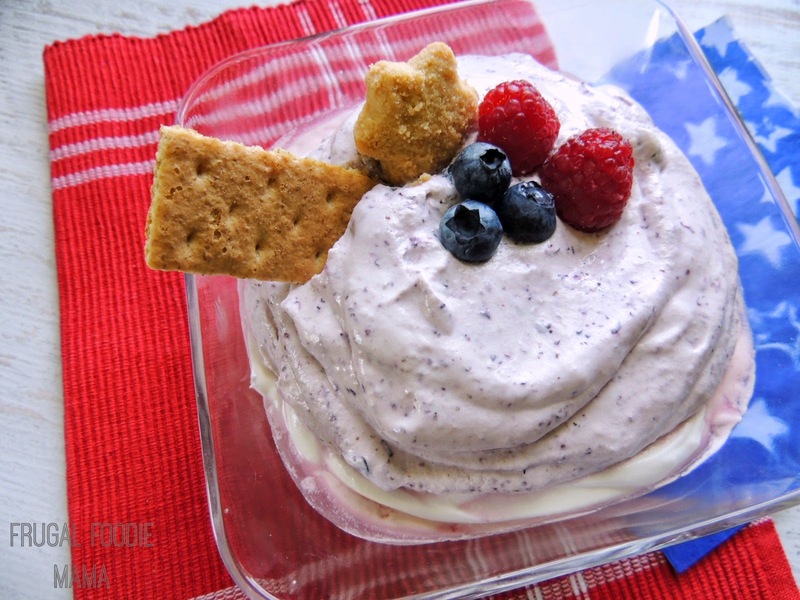 **If any of your dip layers seem to be a little too runny (some berries may be juicier than others), blend in a little more whipped topping to thicken it slightly. 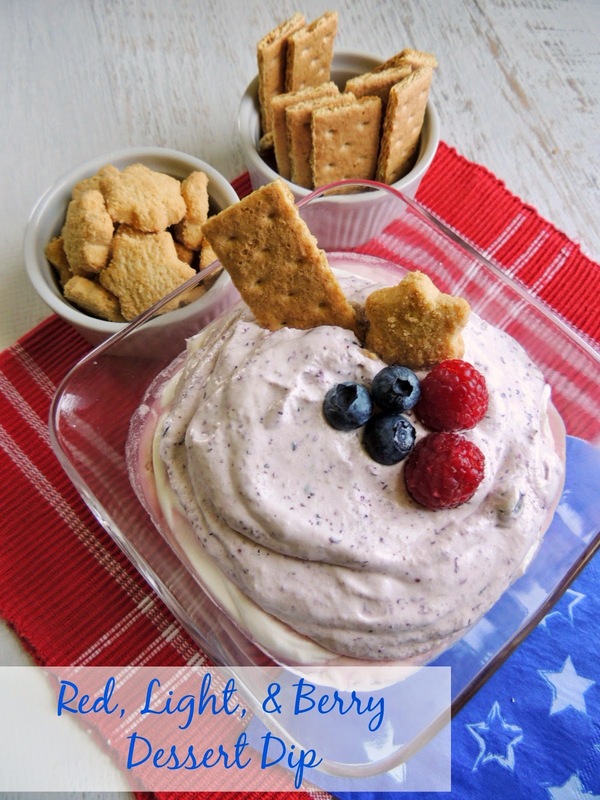 Layer each dessert dip in a bowl (as I did) or add the layers to a large bowl and gently swirl. Garnish with fresh berries and a cookie, if desired. 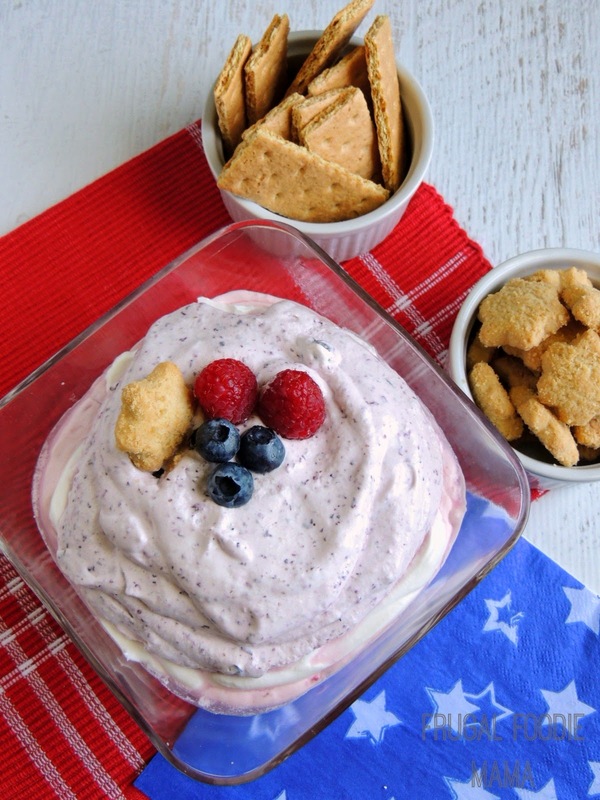 Serve with fruit, cookies, and crackers for dipping. Keep any leftovers covered & refrigerated for up to 3 days. I served this dip with graham crackers and star shaped Walkers shortbread cookies I happened to have leftover from Christmas (and yes, they were still good since I never opened the package). This dessert would also be tasty with chocolate graham crackers, apple slices, vanilla wafers, or whole fresh strawberries.